Irish players have done quite well for themselves when it comes to soccer, and Robbie Keane is a fine example of how far the Irish have come in the game. Keane was once Britain’s most expensive teenager when Coventry paid Wolves £6 million in 1999 and has a total cost of £74 million in transfer fees. Keane’s name is synonymous for scoring great goals as well as being a goal creator. During his six years at White Hart Lane, Keane consistently finished his first four seasons as one of the club’s top scorers. In each of his last two seasons he went past the 20 goal mark and became the thirteenth player to score one hundred Premier League goals, on Boxing Day 2007. Since leaving LA Galaxy in 2015 the striker has been training with Dubai based club Al Ahli. Robert David Keane was born in 1980 in Dublin, Ireland. He started his football career with local club Fettercairn before joining Dublin schoolboy teamCrumlin United when he was 10 years old. At Crumlin his talent was discovered and caught the right attention as he ende dup receiving offers from Liverpool and Wolverhampton. Keane began his professional career at Wolverhampton Wanderers scoring twice on his first-team debut aged 17. The following season he was the club’s leading goal scorer. He joined Tottenham Hotspur in 2002 and played there for seven-and-a-half years over two spells and amassed 306 appearances across all competitions, scoring 122 goals. During 2007-2008 he set a career record of 23 goals in a season, including a landmark 100th competitive goal and won his first senior honour in the form of the League Cup. During his play for the national Irish soccer team, Keane scored a total of 68 goals over an 18-year international career, making him the all-time record Irish scorer. His 146 caps makes him their highest appearance-maker. 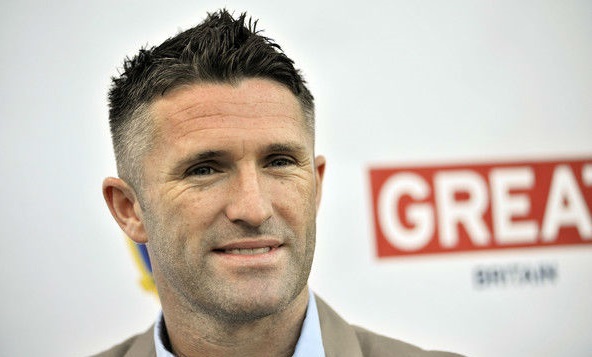 Keane is the joint fourth-highest scoring European of all-time, and the only player in the history of world football to have scored at least one international goal in 19 consecutive years. He is also the all-time top scorer in European Championship qualification matches. Keane was Ireland’s top scorer at the2002 FIFA World Cup with three goals as they reached the last 16, and also played at 2012 UEFA Euro and 2016 UEFA Euro. At the age of 36 Keane was called up to Ireland’s squad for Euro 2016 and made two late substitute appearances in the group games before returning to California to continue his LA Galaxy career. Keane has been the SPL Player of the Month in 2010. He was also Celtic Player of the Year twice in 2009 and 2010. In 2011 he was the Nations Cup Top Scorer and in 2012 he was the MLS Cup Playoffs Top Scorer. The FAI awarded him with the Senior International Player of the Year award twice in 2010 and 2014. His famous stint at LA Galaxy saw him being awarded with the LA Galaxy Most Valuable Player in 2012, 2013, 2014 and 2015.